This is the time of year that everyone gets introspective. Everyone becomes a pundit and starts waxing philosophical. What was big this past year? What will be the prevailing trend next year? It is always the same. Invariably, one or more of these well-meaning individuals will proclaim that PHP is dead and that “X” is the next trend in web programming. I have been working with PHP for 15 years, for 10 of them I have actively been involved in the community. In the past 10 years, I have seen this almost every year. Here is the thing they seem to forget, momentum. By some measurements, PHP runs 80% of the web. I believe the more conservative number of 50% but whichever number you go with, that is a lot of web sites that depend on PHP. If the core disband tomorrow, there would still be work for PHP developers for years to come. Don’t believe me? Go out to simplyhired.com and search for FoxPro. Last I checked, there were over a thousand, and Microsoft killed FoxPro more than six years ago. PHP has momentum. More than that though, PHP has a group of Core developers pushing it forward. Constantly expanding it’s capabilities and thus expanding the opportunities for PHP developers. PHP is in a renaissance. 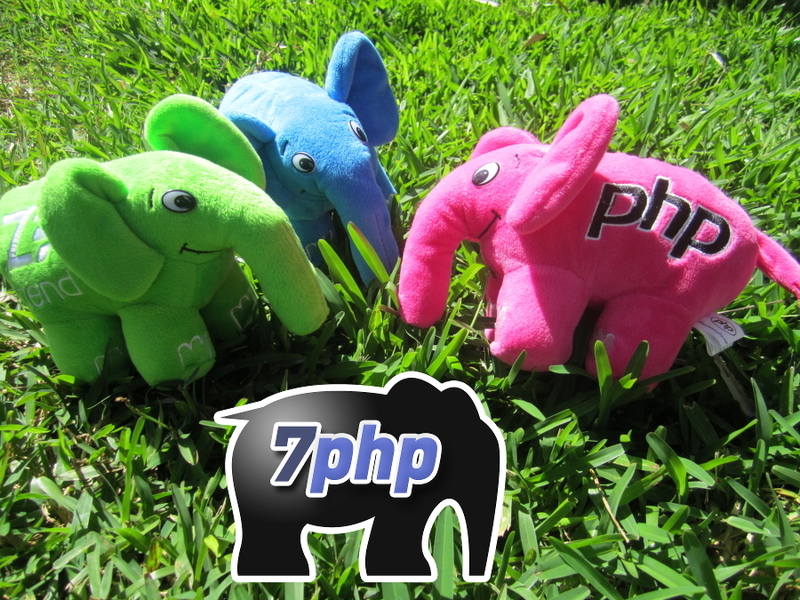 The new capabilities of PHP 7 give it a renewed lease on life. The performance improvements in PHP 7 mean that existing sites can do the job with roughly half the resources. The fact that it is the fastest dynamic language out there, means that new projects and startups are starting to look at it again. There will come a time when PHP will die. This, however, is not it’s year. PHP is alive and well. The Core is cranking out new features, bug fixes, security patches, and other goodies that make our lives better on a regular basis. Most important though, our community is growing and evolving. We are better organized than we have ever been. We have a group who is dedicated to making sure that our projects work together. We have more conferences and learning opportunities than we have at any point in the past. PHP is not dead my friends, it’s just got it second wind. If Your Passion Is In Your Heart, No Step Is Too Extreme. For The PHP Community Lives In Thy Heart. It All Starts With A Story And I’m No Exception. On that December 2008, someone bought the domain 7php.com. 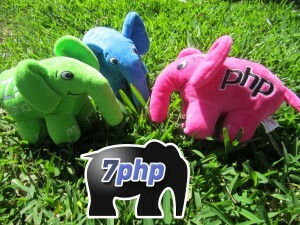 It might seem a trivial thing, but there’s a whole story behind – the 7PHP story. While the story is a bit long, I did my best to cut it short, just to focus on the main area of concern – that is, the magics and amazement behind PHP & The PHP Community. But know that, it’s important to tell it because what comes as the “after” started because of the “start”. I am a very late comer to the IT scene and Internet world. I was a science student, fond of Additional Maths beyond what you can imagine. I touched my first PC at the age of 19 years old. (A shocker right?) I was suddenly the only student in my University class who was ‘touching’ his first PC and first taste of programming. I was in a batch of around 80+ students who were most of them like skillful voracious IT literate. I say voracious because they were all here for one thing: to achieve the highest possible score for the final 3yrs-degree course. Most of them did it in the most selfish way they ever could. This was no easy thing for me. Along my self-paced journey, I started to install things like wordpress, SMF forums..etc I was quite amazed by how fast I could install them. Digging deeper, I saw they all had ONE thing in common – they were all PHP-based. Wow, wait a minute, what is that PHP? I never heard about it.. That curiosity lead me to even do my final year project with PHP as the core language of choice. In year 2008, I started my first job. No it was not PHP, but C#.NET (yet another new, but amazing thing I learned). But my passion and focus for PHP was still there at night. With the small salary I got, I decided to invest in buying myself a domain with the keyword PHP. I wanted it to be short, but also meaningful. At that time, the .COM boom was I think around it’s second-half (or something) of its explosion and hence good 3-letter and 4-letter word domains were almost all taken up. But to my great surprise (after a whole night searching like crazy for all combinations), the domain 7PHP and PHP7 were available (w00t!). After much thought, I went for 7php.com because at that time I thought PHP would probably arrive at version 7 (yes I tend to think ahead of time at times). I do not want to create a confusion between ‘what-I-would-do-with-it’ and PHP 7 as a language version (Although if I had enough spare finance, I would have bought both if you asked. And I wished I did because I would have happily put it to the service of the community or donated it for the right purpose since PHP7 finally came this year). Also the number 7 has a key significance in the Football soccer world (I was a Man Utd fan and 7 is emblematic) and was prestigious – which made me go for 7php.com instead of say phpthat.com for example. But the domain sat there idle in my account with no real purpose. I do not know for what real reason I bought it, but something in me triggered that. And bought it, I simply did. In March 2010, I was already in another job now doing PHP fulltime. I then started blogging on 7PHP mainly as a backlog of all the issues, solutions (and rambling) while I was using PHP – I needed a journal to keep everything in place for future reference. Done deal! In year 2011, I was going through one of the most difficult moments of my life – my parents got separated and at my (yet new) work place too, things became very bad. I got an evil CTO and a group of new (unfriendly) dishonest friends colleagues. I was out of job in mid 2012. Fast-forwarding a couple of months, December was already here. I was sitting down at my (broken) home with my thoughts. It was also time for me to take a decision on whether to renew the 7php domain or to let go. 1) What do I really want NOW (at that moment). 2) How can I achieve that? To reach out to the World I need to step out of what I was currently doing with my blog. I felt I cannot achieve this with tutorials or code scripts because there were too many-many great ones and I’m not a rockstar in PHP programming. Thinking deeper, I had four things in my possesion: ‘writing skills + a blog + a passion for PHP + an urge to mingle with like-minded people’. That night I decided I wanted to interview prominent people in the PHP world. It was to be a mission of either “the PHP world is made of good people or I quit” and “either I live or I die”. If things were to go negative at that time, that would probably have been an end to my PHP passion, my domain name and my PHP career. Fortunately for me, hope came in! On that December, I emailed a couple of prominent PHPers. I relied on my personal judgement to contact these people as I was not yet part and parcel of the PHP world (The PHPeople). I was delighted to see responses coming in from people that I contacted. Five of them responded fast (namely Chris Tankersley, Enrico Zimuel, Michelangelo van Dam, Stefan Koopmanschap, Ivo Jansch) and they ALL communicated ONE thing “you are doing a great initiative, welcome to the PHP world”. That sense of ‘positivity, friendliness and welcoming’ that emanate from those PHPers, is something I NEVER saw when I mingled with the C and JAVA people. So in Jan 2012 I started the “real” 7PHP which focuses on interviewing people & entities that are part and parcel of The PHP Community. My communication with so many amazing people, gave me a lot of happiness. I was delighted to keep doing 7PHP and I was also sharing part of my personal life’s happiness with (some of) them. What I did not imagine in my wildest dream, is that The PHP Community is more than a Living entity. It listens carefully. It reaches out to you when you least expect. It cares in the most caring way you can ever imagine. I have found a new family and many sincere friends. 1) I have received so many gifts – including 4 amazing unique elePHPants from different people around the globe. 2) In Oct 2014, I was able to attend my FIRST PHP conference, namely PHP North – all fully sponsored. 3) In Feb 2015, I attended my 2nd PHP conference, namely the Sunshine PHP conference. See pics here and here. This gift was announced on the March 2014 as a surprise by Cal Evans, see this Youtube Video – Community Gives Back. 4) On the 9th July 2014, Joe Watkins was in a tough moment of his life and the WHOLE PHP Community stepped up to “help him get a leg up”, see here. I’m really humbled and thankful to ALL of you that forms part of The Magical PHP Community and has played (is playing) a vital part in my life AND in the life of so many other people. I was just a concrete example. But there has been many example in the past and will have more examples in the future. When I attended the two conferences at those different parts of the world, I was amazed with how many people (unknown to me), reached to say hello just because they knew about about 7PHP. That is a truly unique and amazing thing. While doing 7PHP, I have done so with the best of my abilities, even if that needed me to spend countless hours even at night and on weekends. But I have never expected anything in return because I was enjoying it. It did not matter how much I have to invest myself in it – what matters is the “feeling of being happy doing it”. From my personal experience so far, I would advise anyone that has passion for The PHP Community & PHP, to stay true to their passion – just do it, just keep at it if it makes you happy. It’s worth more than you can imagine before you even realise! Remember this: “The Community Matters”. Words will never be enough to relate my story (yeah a book may be, I hear you 🙂 ). And words will always fall short in thanking all of you. I cannot mention specific names as this is a team community work – (Community Works!). But know that, I’m eternally so much grateful and thankful in my heart to all of you. PHP and The PHP Community have really transformed my life! I really believe in this, even if it sounds like a marketing slogan, and if you ever met me you probably understand why. See, our world of technology and development is one in which a “network” is a huge asset to your career. This is not just about finding jobs, but also about growing as a developer. Let’s say that you are the greatest coder that ever lived. Congratulations, you are surely much better than I am. But is that really enough? It’s like the old saying: “If a tree falls in the forest but no one is there to hear it, does it make a sound?”. Does being the best out there get you anywhere if no one knows you are trying to get somewhere? This is where community comes in and definitively not just for great developers, even more so for those coming into this market and seeking a path to grow. Knowing people is key to the game. These are the people who will let you know about good opportunities, who will remember your name when an opportunity comes around, or the ones who will tell you about new technology, new ways of doing things. Its as much about recruitment as it is about inspiration and advice. Behind every developer is, surprise, a person. Turns out we are all humans and we all face good and bad times. The PHP community has proven once again that they are as ready to give you their opinion on PSR-X as they are to come together to support you in time of personal crisis or calamity. As an expat, building AmsterdamPHP was as much about sharing knowledge as a way to make new like minded friends, to make adapting to Amsterdam easier and lot more fun. Each person in your network is a powerful tool of knowledge acquisition. The game is not to know it all, but to know who to talk to, to get the information needed. We are not all lucky to work with all the amazing names of our community, but through community and communication tools like IRC, Slack, Twitter or other we can be connected to this neural network of smart minds. When I was a one man team I constantly took my internal discussions onto these channels to get an external opinion, a new mindset and find a fencing partner. I was never disappointed and I learnt so much more than I would have being lost in my echo chamber. Similar exchanges can also happen in meetings and conferences, that is indeed the center of their purpose. Whether you are watching talks, or hanging out in the hallway track, those exchanges can really flip your career upside down. We developers are living a truly amazing time in our careers, a time of bonanza, a time when we can actually choose where, how and on what we want to work. This is not as much of an exaggeration as it may sound, most companies I know of are hiring some level of developer, and most of them have more slots open then the number of developers they can find. I venture to say that if you don’t have this feeling, you are just blind to the current market, and guess what? Yep, community also helps here. Every single sponsor of AmsterdamPHP is hiring, no exaggeration. By simply attending our monthly meetups every month I get to see the “insides” of a new company, learn about their product, their passions and even better, I get to interact with their team in their “home court”. All of this goes into my mental “rolodex of cool places”, whenever I feel the need to seek new adventures this is where I go and start interview processes. Why wait for recruiters to offer me up as the “dish of the day” and tell me where to go? I know all the places I want to work at! Ironically enough this also makes me a real good recruiter, wait, no I have not gone over to the Dark Side, but I do now have a good list of places to point people who are looking for jobs to. We cover the full spectrum, from “looking” to “getting indications” and finally to “being indicated to”. Does all this “change your life”? I’ll let you be the judge of it, but from where I stand, my life really did get flipped upside down by the people I met in the community. Elizabeth Naramore taught me that “life started outside my comfort zone”. Cal Evans taught me that “if you are not in a community, you are it”. Michelangelo van Dam taught me that “Community Works”. Frank van de Brink partnered up with me to build AmsterdamPHP and make Amsterdam “Home”. The AmsterdamPHP crew taught me that “shipping elePHPants is not as easy as it seems”. Your Mileage May Vary, but I consider moving to another continent and speaking in all but two continent of the world (Asia and Australia, I’m looking at you) one wowzer of a life change. And this is not even including all the amazing people who taught me to code, to architect and to PHP. Thank you all for changing my life, I hope I can change yours in exchange one day. It’s close to the end of the year so people are beginning to make their new year’s resolutions. I’d be willing to bet that more than half of the resolutions have something to do with improving physical heath (myself included). But whether or not your new year’s resolution has anything to do with counting calories or buying nicotine patches to kick a nasty habit, you might need a good distraction from the triggers that activate the bad habit loops that you’re trying to break free from. There’s an amazing opportunity to distract yourself from bad habits this year and create new habits that help others; it’s a little thing called open source. We PHP kids love to copy and paste. It’s what we’re good at. If you’re like me, you learned PHP by copying snippets of code from random blog posts and forums around the web and hacking together an app that mostly worked but if you were to ask us specifically how it worked, we’d be at a loss to explain the bits we copy & pasted. Fast forward a few years and we might see a developer who has learned enough to explain the copy and pasty bits. In fact we may have supercharged our copy and pasting abilities with a little tool called composer. If you’re not using composer yet, you should totally get on board. It will change the way you copy and paste code into your apps. It’s amazing. It will allow you to easily integrate fantastic open source projects into your app with a single command. For the veteran composer user, sometimes we take for granted that we have a whole copy & paste repository at our fingertips; none of which would be possible without the dedicated volunteers behind all of the open source projects that power our apps. If you’ve ever used a snippet of code in your app that’s not your own, then you’ve relied on the PHP community to write your app. Have you ever provided your own snippets of code to the community? If you’ve never contributed to an open source project before or maybe you’ve only ever dabbled in it here and there, make 2016 your year of open source. When it’s 11:50PM and you’re craving that chocolate bar in your pantry, instead of giving in, distract yourself by browsing the source code of projects you like to use in your own projects. Instead of walking down to the 7/11 to buy another pack of cigarettes, spend that time learning how to contribute to open source projects on GitHub. Heck, why not contribute to lots of open source projects? See which project has the best chemistry with you. See how much you learn when your code is reviewed by others in the community. Once you start sending regularly scheduled pull requests, you’ll wonder how you ever learned anything before open source. Open source isn’t only good you and your own learning and development, but your contributions no matter how small or how big affect the PHP ecosystem. Not to mention the huge pat on the back you can give yourself after every pull request you send. But fair warning – contributing to open source is addictive. You might fall deep into the open source rabbit hole, never to return. But it’s totally worth it. So after you’ve had your fill of gifts, sweets, and myriad family members asking you to fix their computer for you (so far I’ve had to fix 3 computers), take some time to sit down and reflect on 2015. Try to focus on what was good. What did you accomplish? How many people’s lives did you touch? Then shift your thoughts to the future, to this upcoming year. Where do you want to go? Would committing yourself to contributing to open source this year align with your goals? What are you waiting for? Jump right in! The water’s fine. We laughed, because it’s funny. When you’ve worked with PHP a long time (about the same for me as my friend), you sorta have to. We know the language is warty and lacks uniform design principles. We know the process of creating it is sometimes an anarchic mess. We also know that it’s really, really good at solving some problems, and that’s why we still keep using it. A fair bit of emphasis on simple solutions for specific problems: built-in simple web servers; straightforward module systems; basic, usable testing libs shipping in the standard library. Downloading code in ZIP files from Google Code or SourceForge. God help us. This sucked, especially if you felt, like I did, that having to learn a big fat framework and inherit a ton of code was a crappy idea. I started yelling about this with a blog post I titled “The MicroPHP Manifesto”. Some people seemed to agree. I was still thinking about jumping ship, probably to Python, because that was where my work was headed. I did for a while, actually. But then I came back. I came back because the good stuff was still good, and the bad stuff was starting to get a lot better. Now, a couple years since, I am even more confident that I did the right thing, and there are three major reasons why. I’ll say it plainly: I think Composer and Packagist saved PHP. Yeah, it still would have been used for a long time for WordPress and Drupal and some other very popular systems, but outside of that I think PHP was going in a bad direction, and I think it was Composer that saved it. It saved it because it gave great motivation to developers to create high quality, interoperable libraries. It did this by making it so much easier to find these libraries via the Packagist system. Discoverability was a huge problem that led people to keep choosing frameworks that gave them everything in one place. Composer & Packagist meant you could find what you needed, and only what you needed, quite easily. This was the biggest technical reason I came back. I should say here that I mean the non-application-specific PHP community that I run into mostly at conferences, because if we talked about everyone who worked on PHP stuff, it would be a hundred times bigger. I haven’t run into a cooler, less clique-ish, friendlier community than the PHP community. Maybe it’s because we know our favorite programming language is not all that pretty, but it works really well. There is very little pretension with PHP folk, and I love that to death. We’re just trying to make good stuff and share what we know. It’s a really great open source community, and I am extremely proud to be part of it. You could also call this “PHP’s willingness to liberally steal ideas from other platforms.” If there’s something that works pretty well on another plaform for web app dev, there’ a good chance it will end up in PHP, either in the language itself, or in userland. Stuff like short array syntax, ReactPHP, traits, and the built-in web server all came from other places, and all are super cool in PHP. And, if PHP doesn’t provide it, we’re very willing to just use other tools, like Node.js or Python or whtever, as long as it does a good job. That’s awesome. But, I can work with it. I like it here. I’ll stay a while longer. One of the key strengths of any community is its diversity. I don’t mean in the usual race-and-gender kind of diversity (although that’s important too), but more broadly. Any given person only has so much experience to draw from, and only one (or maybe a very few) perspectives to bring to any given problem or situation. Two people with the same experience may add (almost) twice as much available labor, but add only a little bit of problem solving ability. Two people with different backgrounds and experience can double, or more than double, the problem solving ability. Working with PHP, there are people of all sorts of professional backgrounds. There are people that have only been out of college for a few years; there are people who have been coding long enough to have the proverbial (or literal) gray beards; there are people who didn’t go to college. I’ve worked with CS majors, English majors, Physics PhDs, business majors, art majors, college drop outs, and culinary school graduates. I’ve met people who are freelancers, agency consultants, product developers, hobbyists, and in-house “computer person”. It’s that breadth of experience that is our secret weapon. I’ve been part of the Drupal community for over a decade now. The Drupal community is vast. When I first started coming to PHP events, what struck me most was how quaint they were compared to what I was used to. Most of the PHP conferences in the US cap out around 200 people. That’s a small DrupalCamp. DrupalCons in Europe generally pull around 2000 people; in the US, 3000. Many people I talk to at PHP events are in absolute shock to hear that, and when they come to DrupalCon get a deer-in-headlights look about them. How can there be so many Drupal developers? Well, there aren’t. I mean there are tens of thousands of Drupal developers around the world, on every continent, and that’s just the ones we know about that are actively engaged in the community. But only half, half of DrupalCon Europe attendees describe themselves as back-end PHP developers. Maybe a third of DrupalCon US attendees do. So who are the rest of them? They’re designers. They’re front-end developers. They’re UX experts. They’re business owners. They’re content strategists. They’re project managers. All interested in some way in building Drupal or building something with Drupal. Although Drupal has often been accused of being “by dev geeks for dev geeks”, nothing could be further from the truth. Teams that are diverse along many axes (both the obvious ones and not so obvious) succeed because they can, collectively, look at a problem from many different angles at once. And by being part of such a team, you can learn, both deliberately and by simple osmosis, how to look at a problem from more than one angle. That’s the benefit of a diverse community. It is a loose team from which you can learn and experience different perspectives. By engaging with different people and learning from their experience and perspectives, you borrow some of their power, and they borrow some of yours. Most importantly, though, they can help you get more diverse experience yourself. Not all the world is Drupal, or Symfony, or Zend, or Laravel, or WordPress. By getting your own experience with a more diverse set of tools, your brain changes to be able to think about a problem in different ways. Not just in a Drupal way, or Symfony way, or Zend way, or Laravel way, or WordPress way, but in many or all of those ways, through both your own experiences and the shared experience of others. You can look at a problem and ask “how would Drupal do this? How would Laravel do this? How would Symfony do this?” Then combine them all in various ways to find a solution. It’s that breadth of experience that is your secret weapon. Getting out of your bubble and sharing experiences with others is what a healthy community lets you do. And that, in turn, gives you a broader perspective to bring to the table. Quite simply, diverse community experience makes you smarter. And it’s not just a developer thing, either. I’ve been involved in many different communities in my time. Only some of them have been developer related, yet all of them, over time and with exposure, have helped to rewrite my brain. All of them have had people to learn from. In some ways, the subtle influences that seem to have nothing to do with development can be the most important, because they’re subconscious. You may not think of involvement in a sci-fi club, or a religious organization, or a dance community, or a sports community as having much impact on your software development, but it does, because every healthy community you’re part of has something to teach you, and you have something to teach them. It’s that breadth of community experience that is your secret weapon. The caveat, of course, is that I refer to “healthy communities”. Sadly, not all communities are healthy. Unhealthy communities demand closed-minded thinking. They deny experiences, rather than offer them. They encourage people to stay “on the island” rather than gathering knowledge to share from many sources. Unhealthy communities refuse to accept the benefits that a diverse background can offer. Fortunately, PHP is not such a community. The PHP community is broad and healthy. The PHP community has reinvented itself in the past half-decade to be more eclectic and mixed and diverse. Could it go further? Certainly, but it has come a long way, with people from a variety of different backgrounds, perspectives, and experiences able to meet, share, learn, help, build, and teach. And most importantly, to encourage its members to meet, share learn, help, build, and teach. Because the more varied experiences we can share, the stronger we all are. And that’s why the PHP community needs you. Because you have a background, experience, and perspective that we want to learn from. You can learn from us, and we can learn from you, because that is what a healthy community does. You are our next secret weapon. 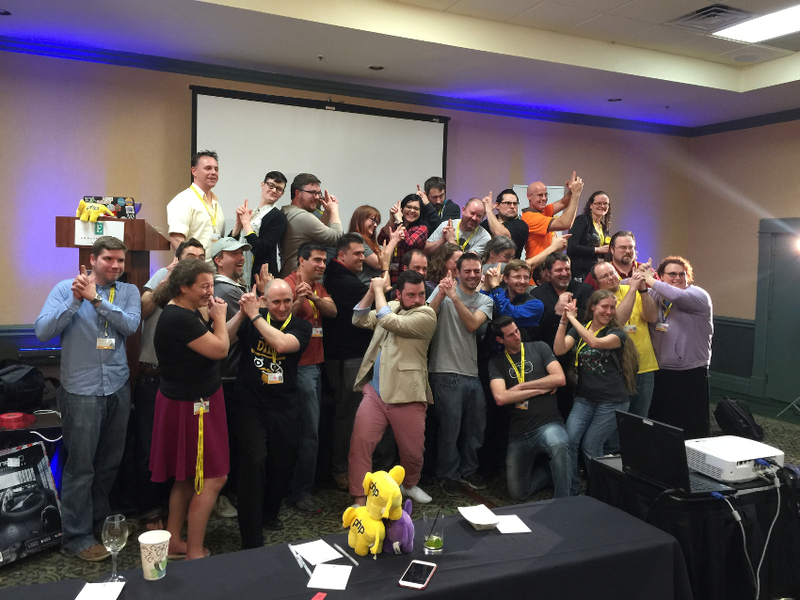 It’s the breadth and depth of the PHP community that is your secret weapon. And it’s the breadth and depth, and generosity, of the community that is PHP’s secret weapon. In 2015, speaking at 21 conferences and 37 user groups around the world, I had the tremendous good fortune of meeting over 1500 members of the PHP Community. What is perhaps most amazing about this is I was able to do so despite a near paralyzing fear of being the “ice breaker” and of making cold introductions in social situations. So, how did I manage this? Well, certainly at some point, being a relatively ubiquitous presence at conferences and user groups, it got a lot easier as people began to introduce themselves to me rather than my having to introduce myself to them. But it obviously wasn’t that way in the beginning. How did I manage to navigate this social awkwardness? In 2014, I attended my first multi-day, multi-track conference, php[tek] in Chicago. Larger and longer than any community activities that I had participated in previously, I was determined not to allow my anxiety over meeting new people undermine the experience. With a little creativity and planning, I was able to identify five different groups of people that I could connect with organically, without the potential awkwardness of a cold introduction. The first thing that I did was to reach out to all of the people that I had already “met” on Twitter who I knew would be there and tell them what I looked like and asked them to look out for me. This put the onus of a personal introduction on them and I knew conversation would come easily, having already grown our friendships on Twitter. Second, my friend David Mosher had begun organizing a side trip to see a Cubs’ game, so I volunteered to handle collecting the money and distributing the tickets at the conference. This meant that nineteen people would be seeking out and introducing themselves to me in order to claim their tickets. It also meant that I would be joined by these nineteen people for a multi-hour activity, an opportunity to easily make conversations with otherwise strangers without feeling awkward. Similarly, several members of the community had organized a Magic: The Gathering tournament for one evening of the conference. By signing up to participate, I was assured an easy introduction and several hours of conversational opportunity with another dozen or so attendees. I also realized that perhaps the easiest people to meet would be the developer evangelists – people who were essentially being paid to meet people like me and who were obviously well suited for their roles, friendly and outgoing and good conversationalists. I made sure to spend time in the exhibit hall making their acquaintances at times when it wasn’t unusually crowded, giving them ample opportunity to break the ice for me. Finally, I made sure to join in the extra-curricular activities at the “conference bar” during the evenings. Rightly or wrongly, I knew from experience that even if two socially awkward people find themselves seated next to each other in a bar, eventually one of their inhibitions will loosen to the point of breaking the ice and making an introduction. While I’m not sure that my performance at the conference was valuable to anyone but me, I appreciate her sentiment and agree that despite being very hesitant to break the ice with strangers or make introductions, it’s doubtful that anyone was able to bleed more out of the social and networking aspects of that conference than I did. It’s my hope that by sharing these strategies, others who share similar apprehensions will also be able to take full advantage of the fantastic human opportunities that conferences present and more easily form relationships within our incredible community.